Choose either the high speed or low speed version of Dumore Series 6 flexible shaft grinders, depending on your application. The low speed flexible shaft grinders are intended for heavy-duty metal removal with larger mounted points or rotary files. 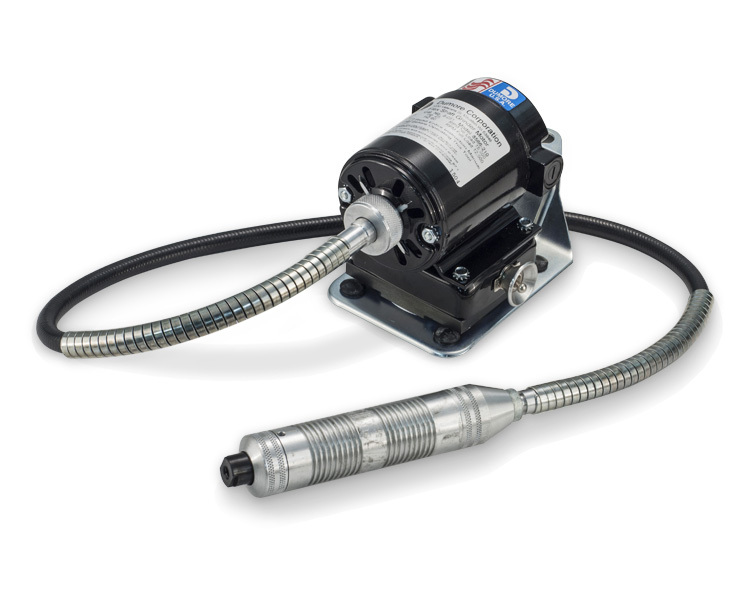 A powerful permanent magnet motor maintains speed under load, and provides excellent performance at speeds as low as 500 rpm with the optional table top or foot switch speed control. sealed ball bearings to resist abrasive dust. Both table top and foot switch speed controls are available.